Are you planning a stay to Sarasota or consider buying a beachfront property there? This Florida gem has everything from white sandy beaches, buzzing nightlife, museums, and rich history. 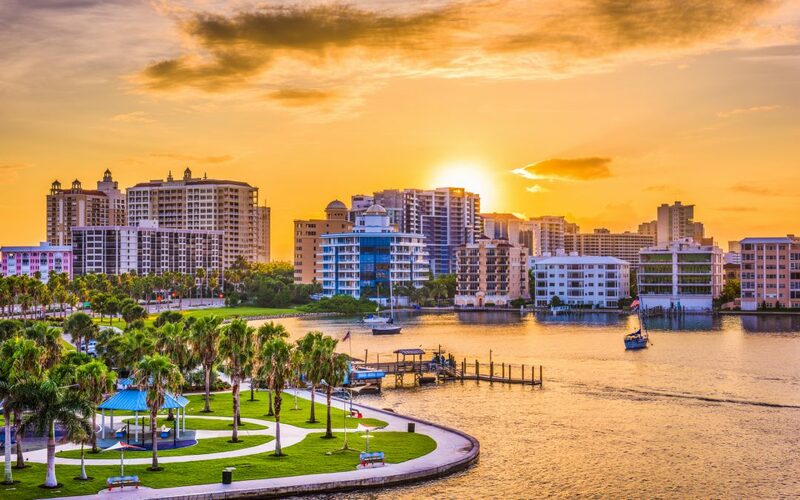 Keep reading to discover 5 things to do in Sarasota FL and make your visit a trip to remember. Sarasota is a vibrant place with plenty of things to do for all ages, personal preferences, and budget. Whether you’re a tourist, a local, or someone who’d like to move here, you’ll love Sarasota’s versatility. Read below to find inspiration about what to do in Sarasota. The Sarasota Jungle Gardens are home to over 200 animal specials from all over the world. You’ll find parrots, alligators, snakes, macaws, iguanas, and birds of prey. The true attraction of the Jungle Gardens is their pink flamingos. If you’re looking for fun things to do in Sarasota, there’s nothing more exciting than holding a parrot, hand-feeding a flamingo, touching a skunk, or watching a cockatoo ride a unicycle. When you make your Sarasota Florida things to do list, visiting the John and Mable Ringling Museum of Art is a must. John Ringling was the owner of a circus called “The Greatest Show on Earth”. The circus was so successful that John and his wife Mable managed to buy a large property in Sarasota that still remains a cultural landmark. The Mote Marine Laboratory and Aquarium is a significant research, education, and conservation. Its doors are open to the public and you can visit the aquarium to see all sorts of marine life, including sharks, manatees, sea turtles, alligators, and crocodiles. In the Shark Zone, you can watch the sharks swim in a 135,000-gallon Shark Habitat and learn all about them. For a piece of history, head to the Sarasota Classic Car Museum. The museum displays over 75 cars from world-renowned manufacturers like Alfa Romeo, Cadillac, Ferrari, Bentley, Rolls Royce, and Mercedes Benz. The museum has devoted an entire room where you can learn the story of the first car ever invented. You’ll hear about the car evolution and the many factors that play a role in manufacturing, designing, and driving one. The Classic Car Museum is a place you can’t miss when you’re looking for things to do near Sarasota Florida. If you’re wondering what to do in Sarasota Florida, the Marie Selby Botanical Gardens are the perfect choice for a relaxing day. They feature a large collection of tropical plants where visitors can explore everything from mangrove, fern, bamboo, bromeliads, orchids, and more. You itinerary of things to do in Sarasota FL doesn’t need to be limited to beaches. Visit these 5 places to have the time of your life and fall in love with Sarasota. If you want to make Sarasota your permanent home, contact us today and let us help you find your dream property. Nokomis condo with AMAZING views, $469,900!